Owning a dog is fun. Cleaning dog waste from your yard is not so much fun. 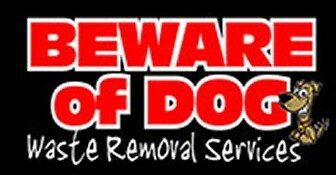 At Beware Of Dog Waste Removal Services, our backyard poop scooping is available year-round. Call us for prompt and professional service. You may schedule regular visits for us to come out and clean up. Contact us to learn more about spring cleanings and one-time yard services. Our team will clean your property in no time.